Home / Burgundy / “One of the Best St-Aubins.” Period. We’ve written recently about Gérard Thomas’s excellent Bourgogne and St-Aubin from 2017; today we’re suggesting their Premier Cru. 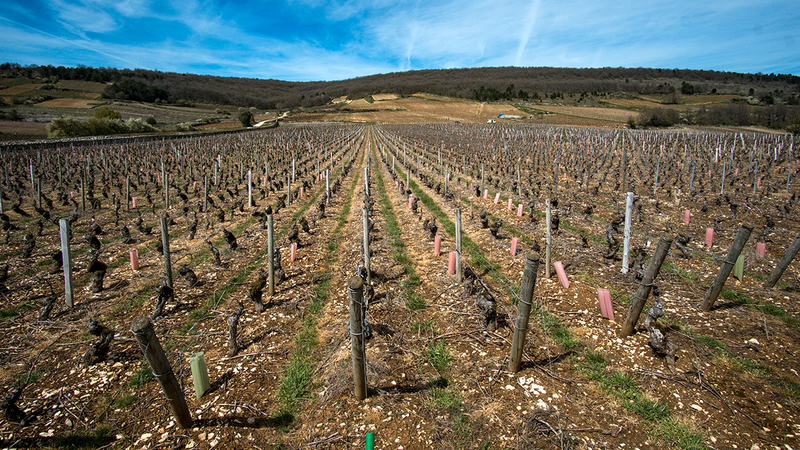 From a beautiful plot overlooking the hill of Montrachet, the “Murgers des Dents de Chiens” is only a few hundred yards from Montrachet itself. St-Aubin is no longer quite the secret it once was, but it’s still the most overperforming wine in Burgundy. Thomas’s St-Aubin 1er cru 2017 is exquisite — even in a year that produced gorgeous, shimmering whites from all over Burgundy, Thomas’s 2017s stand out. The texture is rich and intense, with excellent balance and beautiful minerality. The oak is perfectly integrated into the wine, with notes of yellow fruits, pears, and spice. Previous post: Tasting Trip Video Blog | Update 8: Visiteurs!